Merrick survived the first round of cuts on the series’ “live shows,” the elimination rounds that are performed in front of a live audience at the Pasadena Civic Theater. His signature “robot storytelling” has captivated audiences, and on Aug. 22, his dance to an adaptation of Ruth B’s “Lost Boys” garnered him a standing ovation from several of the judges, and high praise from judge Simon Cowell. 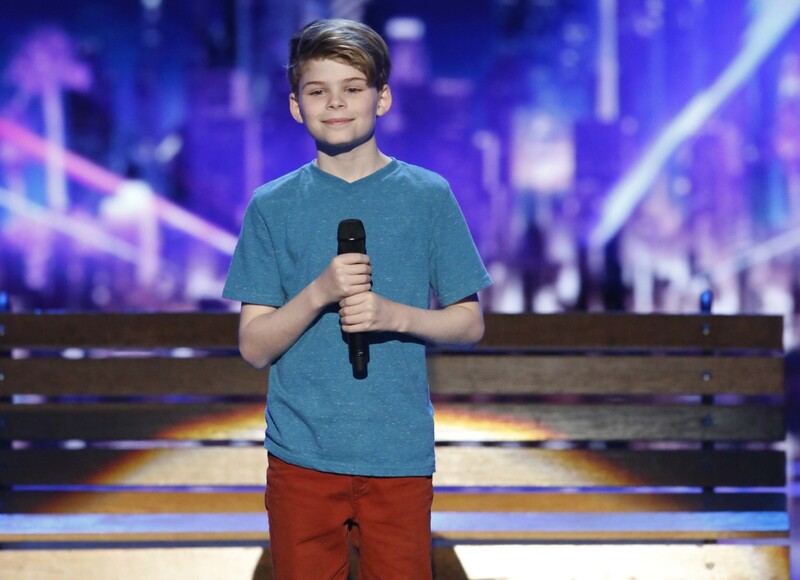 “For me, so far, this is the best act we’ve seen tonight,” Cowell said after Merrick completed his performance. But despite the praise from the judges, Merrick’s fate was in the hands of viewers across the world, who could cast votes online or by telephone. Merrick found himself on stage with two other acts, 9-year-old singer Celine Tam and pop performance duo Mirror Image. Ultimately, he and Celine emerged as two of the five semifinalists named during the show. Hanna had the week off this week, and will compete in September for the title of “America’s Got Talent” Season 12 winner.